Chiropractic is an investment. If you’re going to spend time and money seeing a chiropractor, it makes sense that you’d want to make it as effective as possible. When you’re getting adjusted, the chiropractor isn’t the only one doing the work. There are things you can do to make the experience more effective. Here are my top 7 tips for getting the most out of every adjustment. This is a time to focus on your body, not your text messages! The best way to improve your adjustment is to listen to your body. During your adjustment, your body will be giving you subtle signals and messages about healing. If you are distracted by your phone you may miss the really important communication that is going on! You can get adjusted in a suit. But having a full range of movement and being able take a deep breath is valuable. Wearing comfortable clothes may help with that. If you are wearing a skirt or a dress, feel free to grab a blanket out of the cabinet and put it across your legs. That may allow you to feel more comfortable stretching and moving your legs. Sometimes you just need to get out of the way and let your body do its thing. The thing that I love the most about chiropractic is that it is not an intellectual process. It is a body-centered process. While it’s important to be present and notice what is going on around you, that is different than thinking. For some people, sleeping is the best way to get out of their heads and turn off their brain. Noticing and listening is important. If your body tells you to sleep—listen to it! If you tend to snore, feel free to get adjusted in the exam room. Sometimes your body will tell you to move. Movement is a really good way to release tension in your body. If you feel like you want to move and stretch—go for it! Even if it seems like a weird movement or you can’t explain why you want to do it. Will and I move in weird ways a lot when we are getting adjusted. 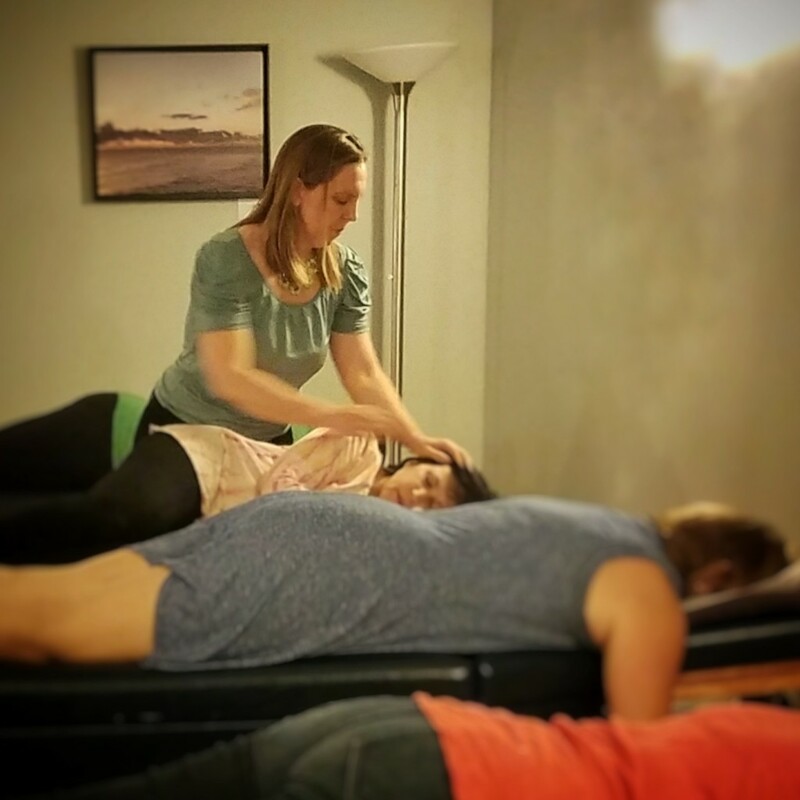 Slow movement can be a really good way to engage the parts of the body that need to heal. Breath is a really good way to connect into your body. It is also a good way to stretch muscles that you cannot access with movement. If you feel an area of tension or pain, try taking a deep breath into that area. You may notice it changes the sensation. Notice how your sensations of pain and ease change over the course of your adjustment. Notice how sensations travel through your body. Maybe they go up your leg and into your hip, or you may notice how the sensation in your hip feels a bit like a sensation in your shoulder. You don’t have to do anything with that information. Simply being aware of it will help your body get more connected to itself and as a result of that, it will heal better. 7. Come to our Demystifying Your Adjustments Workshop! This Wednesday, Sept. 13, from 7-8 p.m., Will and I are hosting a Demystifying Your Adjustments workshop. We will explain to you what we are doing during your adjustment. It is very interactive and hands on. You’ll get to feel and experience the adjusting process. You can also ask lots of questions and get a better sense of what we are doing and how you can more fully participate in the process. You can RSVP here. Hope to see you there!